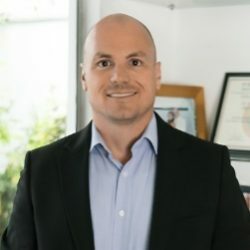 Dr Aron Stumvoll is our chiropractic physician. He is a primary care professional for spinal health and well-being. Chiropractors use hands-on spinal manipulation and other alternative treatments, the theory being that proper alignment of the body’s musculoskeletal structure, particularly the spine, will enable the body to heal itself without surgery or medication. This can also include healing or at least improving other conditions such as headaches and migraines, stress and anxiety, help your immune system and increase flexibility, too.